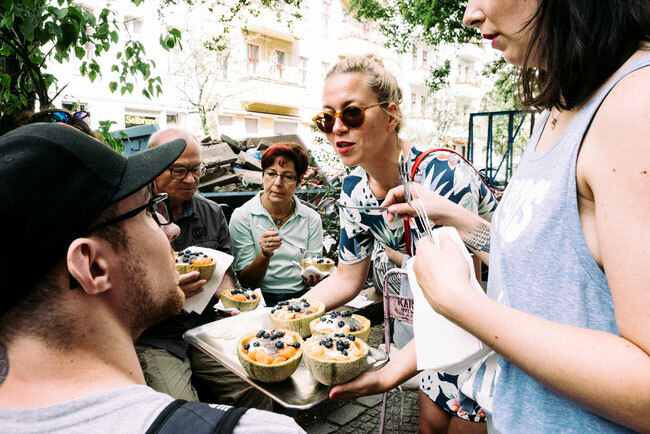 Small shop owners and Home Sharer often support each other: Cafe owners step in for the key exchange and hosts recommend cafes, shops and restaurants of their hood to guests. Home Sharer and their guests daily contribute to the fact that local shops - far away from the big shopping malls - become more known and popular. 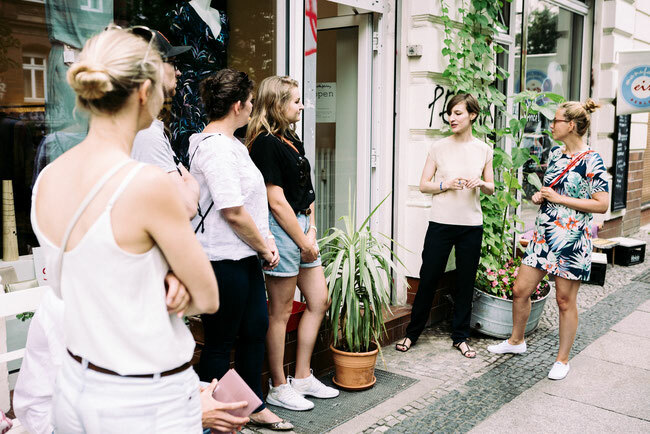 Therefore, BertaBerlin and Airbnb invited shop owners and Home Sharers to the Kiez Walk in Kreuzberg. 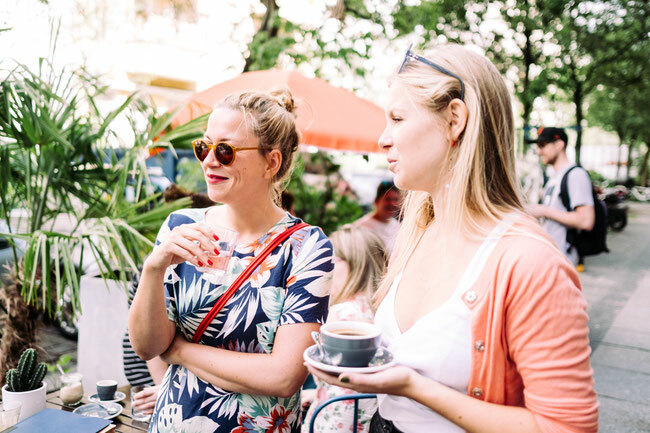 On this neighborhood tour you find the hidden gems in Kreuzberg and get to know cafe owners like Jaqueline from Café Frida, Natalie from the Italian pasticceria LatoDolce or Ilse from the liquorice shop Kadó . The participants got to know the people behind the scenes and meet other Home Sharers. But not only did we get to know the shop owners, we also explored Kreuzberg on the way from location to location. The next Free Kiez Walk takes place in October in Schöneberg. Subscribe for my Newsletter and I let you know, when it happens. If you cannot wait until then, the travel guide is available in my shop ;). BertaBerlin is also available in well-chosen locations all over Neukölln, Kreuzberg, Charlottenburg, Mitte, Schöneberg and Prenzlauer Berg and online. But for those of you, who want to stay up to date, feel free to follow me on INSTAGRAM, FACEBOOK or register for my NEWSLETTER BertaNews.